We first met Prof. Labdhi Bhandari of the IIMA in 1972 when the newly formed Sri Lanka Institute of Marketing held a seminar in Colombo on Market Research. He was one of the three resource persons we invited from India. I was a senior Marketing Manager of Lever Brothers Ceylon Ltd. at the time and a founder member (later President of the institute). 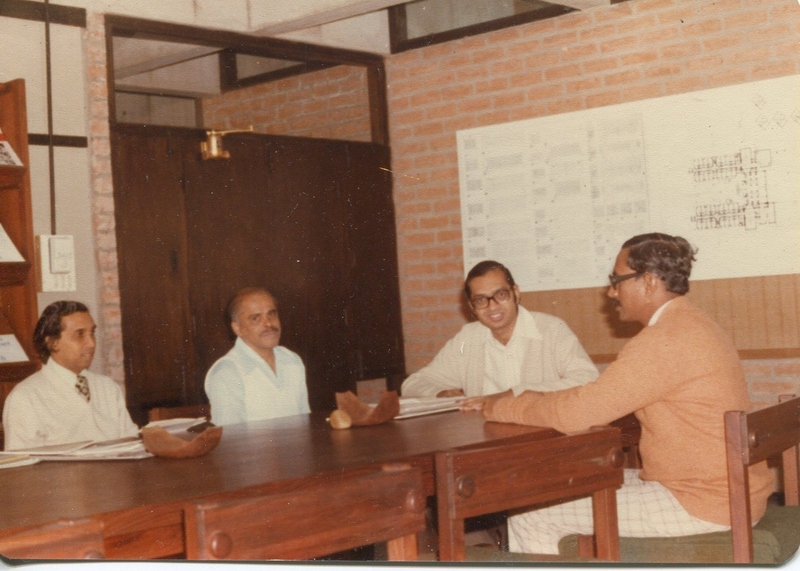 In 1980, I was Chairman of the State Timber Corporation of Sri Lanka, (on secondment from Lever Brothers Ceylon) when the then Sri Lankan Minister of Lands and Land Development wanted me to organise a training course on business planning for the heads of the departments and corporations under his ministry. My thoughts went back to the IIMA and Prof. Labdhi Bhandari, now a dean in the management school. We had initial meetings with him in Ahmedabad, together with a Mr. Wijesinghe, an Assistant Secretary in the ministry, who was to become the project coordinator. The team that was put together for this project consisted of Prof. Labdhi Bhandari (Leader), Prof. Mohan Kaul and Prof. Gopinath. The project first organised a three day training seminar for the heads of departments and corporations. The obstacles were immediately apparent. Many of these top public officials, though highly qualified in their special fields, had little experience of modern management and countered that planning was impossible in their departments. Prof. Bhandari's tact and PR skills then came into play. It was agreed that the team would work with each individual organisation to set up a planning system specially designed for them and then monitor the implementation for half a year. This ensured the success of the project which lasted one year with the resource persons visiting Sri Lanka every two month period. I still remember Prof. Bhandari with affection and I still have in my office room an eight inch tall replica of a prancing horse that he gifted to me.